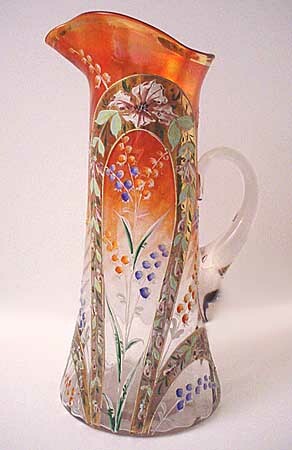 In September 2004, a reader of this website sent me this photo of a spectacular decorated tankard he has had since 1992. The decoration was done on Northwood's Interior Swirl pattern. It is the only one so far reported.